He Jiankui, a Chinese researcher, claims to have created the first-ever gene-edited babies resistant to HIV. We’re all familiar with the term “genetically modified organism” (GMO) — it’s how we get crazy hybrid fruits like tangelos and why corn is seemingly taking over the world. And now, a similar method has reportedly been applied to human embryos by a scientist in China. He Jiankui, a researcher at Southern University of Science and Technology in Shenzhen, China, says he used human embryos modified with the gene-editing technique CRISPR to create twin girls, NPR reports. The New York Post reports that He said he modified the embryos for seven couples during fertility treatments with the intent to make sure the newborns would have a gene that would be resistant to HIV. “Two beautiful little Chinese girls name Lulu and Nana came crying into the world as healthy as any other babies a few weeks ago," Jiankui says in a video posted online. "The babies are home now with their mom Grace and their dad Mark." The babies' father is reportedly HIV-positive. The scientist did not publish his findings in a journal where they could be examined by other experts, and there is no independent confirmation of his claim. Rather, he announced it on Monday to one of the organizers of a gene-editing conference that begins Tuesday in Hong Kong and in an interview with the Associated Press. If He's declaration is true, it would obviously represent a very historic discovery. Meanwhile, he is facing investigation by a local medical ethics board to see whether his experiment broke Chinese laws or regulations. The university where he worked issued a statement that officials were "deeply shocked" by the experiment and it stressed that it was conducted elsewhere, as He has been on unpaid leave. 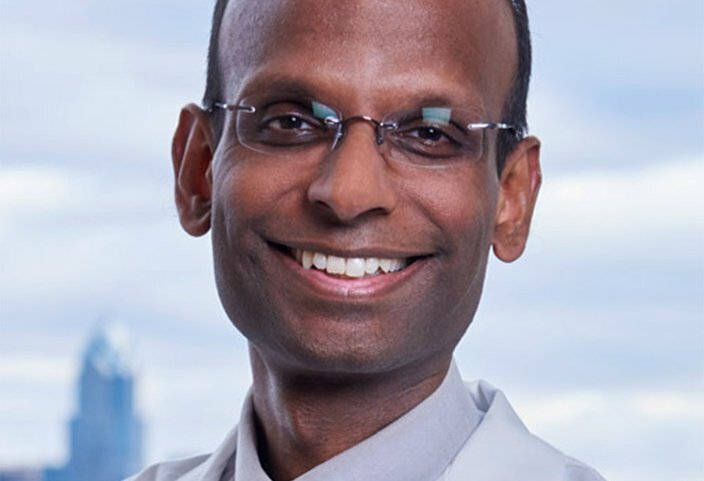 Dr. Kiran Musunuru is an associate professor of medicine in genetics with Penn Medicine. 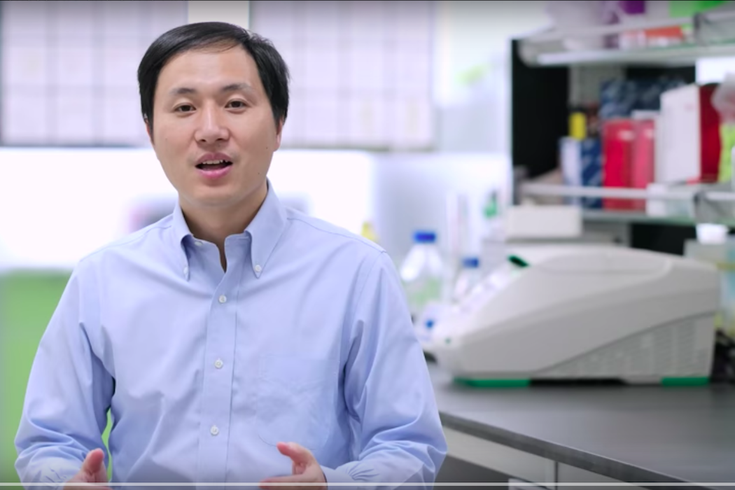 “It’s unconscionable … an experiment on human beings that is not morally or ethically defensible,” he said of a Chinese scientist's claims that he created the first gene-edited babies. Gene editing is currently banned in the United States as changes could be passed down through generations and harm other genes. Many scientists reacted to the controversial experiment. “It’s unconscionable … an experiment on human beings that is not morally or ethically defensible,” Dr. Kiran Musunuru, a University of Pennsylvania gene editing expert, told the AP. He and his team used, CRISPR, a tool for editing genomes that allows researchers to easily alter DNA sequences and modify gene function, according to Live Science. It's often used in correcting genetic defects, treating and preventing the spread of diseases and improving crops, not without ethical concerns. Per NPR, He and his colleagues say they used the technology to make changes in one-day old embryos in a gene called CCR5, which enables HIV to enter and infect immune system cells. Scientists have long searched for ways to block this pathway to protect people from HIV. But the thing is, there’s already a method for protecting people from HIV infection genetically, it’s called "washing" the sperm of infected sperm donors to eliminate HIV, according to Dr. Jennifer Doudna, a biochemist at the University of California, Berkeley, said in an interview. “It is imperative that the scientists responsible for this work fully explain their break from the global consensus that application of CRISPR-Cas9 for human germline editing should not proceed at the present time," Doudna said in a statement released Monday morning by her university. Despite the backlash, and there has been plenty of it, Jiankui is sticking to his guns. “I understand my work will be controversial," he said. "But I believe families need this technology. And I am willing to take the criticism for them."